Ceren Damar Senel, 27, was a research assistant at Cankaya University's Law Faculty in the Turkish capital city of Ankara. On January 2nd, the newlywed young woman was killed by a student after she caught him cheating during an exam. The student, who was later arrested, first stabbed the lecturer and then shot her in the head with a gun. The weapon belonged to his father, a retired police officer. This horrifying murder in an educational institution sparked nationwide debate on security measures in universities as well as the rise of armed violence across the country. Just five days after the murder, the state-run “Mechanical and Chemical Industry Corporation” announced that the price of pistol bullets will be reduced to support the AKP government’s anti-inflation drive, recently launched to tackle the persisting economic crisis. “In these tough days, our institution, the apple of the Turkish defence industry, is very happy to side with our people. In order to support the anti-inflation drive initiated by Treasury and Finance Minister Berat Albayrak, we decided to lower the price of pistol cartridges by 7.5%. We wish the best for our country”, the corporation management said in their statement on January 7th. Last year in March, on the other hand, the Turkish Ministry of Interior had decided to increase the legal limit of bullets owned annually by civilians from 200 to 1,000. The lawmakers of the Republican People’s Party (CHP), the main opposition party in the Turkish parliament, had reacted harshly to this decision. “Today in Turkey guns can be easily bought even on the Internet and murders are committed with these guns every day. There can be no logical explanation for such a decision”, CHP MP Mehmet Tum said during one of his speeches in Parliament. Referring to the sharp increase in armed violence, he urged the government to start working on the limitation of personal armament instead of increasing the availability of bullets. A recent report released by the “Umut Foundation”, a non-governmental organisation fighting against armed violence since 1993, shows that the rate of gun violence committed by individuals in Turkey has increased by 69% over the past four years. At least 3,679 incidents of armed violence occurred only in 2018, leaving at least 2,279 people dead and 3,762 people severely injured. 40% of firearms used in these incidents were rifles, while 39% were pistols. There is also an increase in the possession of rifles, says the report. The figures in the report are based on the news reported in the media since no official records are currently available in Turkey on the issue. “We are getting armed with more guns every day. People buy guns and put them under their bed to feel safe. 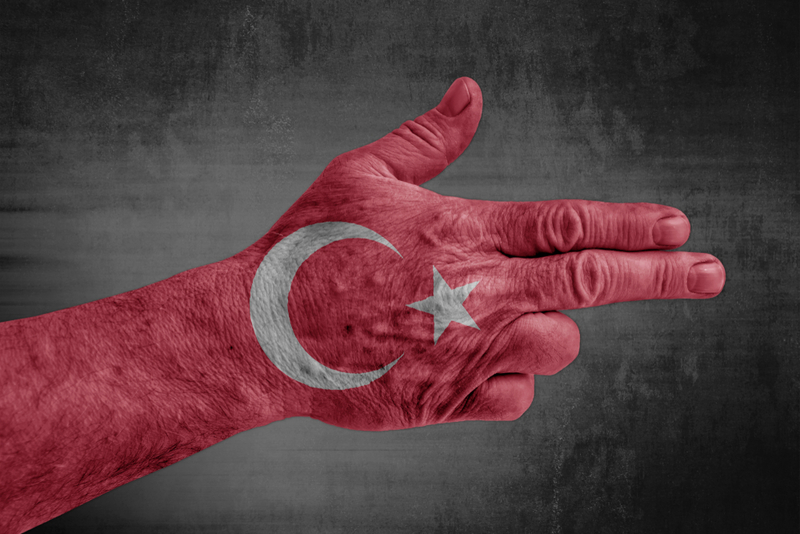 But, at the end of the day, victims are mostly from the inner circle of the gun owners, such as neighbours, cousins, or wives”, Dr Ayhan Akcan, a psychiatrist and board member of Umut Foundation, told OBC Transeuropa. According to Akcan, people living in rural areas have always carried weapons, but today big cities are becoming the main theatre for armed violence. The report suggests that the Marmara region has the highest number of armed violence incidents. Industrial cities attracting immigrants from rural areas are at the top of the list. Istanbul, the most populous Turkish city, ranks first on Turkey's gun violence map. “You can easily buy a gun even on the Internet now. This has to change. Legal measures should be taken”, Akcan stressed. Akcan also thinks that Turkish men's passion for gun ownership can be traced back to nomadic culture. “Men associate guns with ‘honour’ and ‘power’. Owning firearms is a cultural thing”, he explains. Unfortunately, this archaic concept of “honour” is also reflected in the high rates of femicides registered in Turkey. According to a report by Bianet (Independent Communication Network), based on figures drawn from local and national newspapers and news agencies, men in Turkey killed at least 290 women in 2017 – firearms were used in 55.5% of these cases. Before last year's general elections, the Umut Foundation sent a letter to all political parties and presidential candidates calling for immediate action to stop gun violence, stating that on average five people are killed every day due to such incidents. Another important aspect of gun violence is the high rate of unregistered firearms. The Umut Foundation report states that almost 85% of the 25 million guns currently owned in Turkey are not registered. According to lawyer Baran Dogan, specialised in criminal cases related to personal armament and police violence, criminal punishments for unregistered guns are not adequate. “When someone is punished for carrying an unlicensed gun, either the penalty is suspended or the person is released on bail. The culture of impunity encourages the criminal activity”, the lawyer said. Dogan also draws attention to the black market. “Selling, purchasing and exchanging guns on the black market should be made much more difficult”, he says. The lawyer argues that only people who really need to be armed for professional or safety reasons should be able to apply for a gun license. He points out that, since possessing firearms is a simple job in Turkey, strict criteria for gun ownership must be enforced by state laws: “Once a person buys a weapon, most of the time it is shared by other people. So, a registered gun becomes an instrument for many others".